A decorated Vietnam combat veteran, and founder of the Veterans Suicide Prevention Channel. Glenn served in the Vietnam war as a Quartermaster aboard the USS Rupertus, Destroyer DD851 from 1971 to 1972. Glenn had a long career as a stage actor after leaving the NAVY. Acting was one of the few things that his PTSD would allow him to do although it would be years before he understood that he suffered with that condition. In 1993, Glenn enrolled in film school to earn a Bachelors of Art degree in cinema because of his desire to continue a career in the arts. He wanted to become a film and television director/producer. He was accepted to attend at the prestigious Los Angeles Film School, Columbia College Hollywood where he majored in cinema and minored in television production. In 1997, Glenn graduated as the valedictorian of his class at Columbia College Hollywood. Currently a resident of Round Rock Texas, Glenn has created and founded the Veterans Suicide Prevention Channel (VSPChannel), America’s first national broadcast channel for veterans and their family members. Click here to learn more about the founder of the VSPC. During a career spanning over 44 years, D. Randall gained the principles, standards and values that empowered him to make contributions to the US Government, Private Industry and to Higher Education. Randall’s service began as a US Marine, schooled in logistics, infantry and survival skills. First assigned to Regimental Landing Team (RLT) 26 in Okinawa, Randall provided logistics support for Marine ground and air units around the Khe Sanh area of Viet Nam. An assignment to the Marine Aviation Detachment in Pensacola, Florida, provided Randall with the skills of coaching Marines and Marine families. He also learned communicating and negotiating with small businesses. Randall’s further assignment as a Casualty Assistance Non- Commissioned Officer (NCO); working with families of wounded and killed Viet Nam combat casualties. Randall credits much of his ability to empathize and relate to people one-to-one in difficult situations, to the time he spent in this position. He learned the role families’ can and should play in the development of one’s life and character, and the support that is critical for families to succeed. After the Marine Corps, Randall served 8 years, 9 months in the US Army. There he had the opportunity to further hone his negotiation, logistics, and recruiting skills. He continued to have ample opportunities to relate with people both one-on-one and in groups. Leaving active duty, Randall continued in the US Army Reserve and began work as a US DOD Civilian. Randall continued to serve with the US Forces in both the United States and Europe. He was selected for appointment as a contracting officer assigned first to Lakenheath, England, then to Stuttgart, Germany, and finally as Director of Contracting and Chief, Regional Contracting Office, Berlin, Germany. These assignments allowed Randall to continue to use his negotiation and people skills, as well as hone and enhance his leadership skills. Randall was involved in negotiations of contracts as well as international agreements, including involvement in the Berlin Stationing Agreement and the Agreement on Settlement of Issues regarding Berlin after the fall of the Berlin Wall. During his US Government career, Randall held many interesting positions achieving the level of Sergeant Major in the US Army, Contracting Officer and Director of Contracting in the US Civil Service. Having retired from US Civil service as a GM 14 and Military service as a Sergeant Major in 1994, Randall took his skills to Defense Contractors, and a western US University as Vice president for Business Affairs. 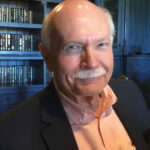 Randall now resides in Georgetown, Texas, is a Professional Life and Spirituality Coach with a passion for helping people, especially Veterans, Wounded Warriors and first responders. Randall is a graduate of Columbia College, Columbia, MO with a Bachelor’s Degree in Business and Troy State University, Troy, AL with a Master’s Degree in Public Administration. Juanita Cole Towery is the wife of Glenn Towery, founder and chairman of the Veterans Suicide Prevention Channel (VSPChannel) and serves as a board member and secretary of the organization. Juanita brings a wealth of experience and talent to the organization. She is a successful published artist since 1992, whose works have been exhibited in galleries in Houston, Clear Lake, Austin and Round Rock, TX, and Los Angeles, CA. In 1995, Juanita served as the only non-educator/artist member of a team of teachers and administrators in selecting the art curriculum for kindergarten and grades 1 -5 for the Clear Creek Independent School District in League City, TX. In addition to her artist career, Juanita holds a Bachelor of Arts degree in Journalism from Texas Southern University and has worked in admirable and satisfying professions over the years. She worked as a Public Information Officer for the City of Houston for 7 years. 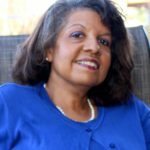 In 1989, Juanita was hired by NASA subcontractors, Omniplan and Hernandez Engineering, as a senior editor for the Space Shuttle Program until 2001. In this position, she edited contracts between NASA and whatever company or university that was putting a payload/experiment on the space shuttle each mission. Her community service includes having been a volunteer Art Instructor with the Mental Health and Mental Retardation Agency in Houston, Texas and the Community Youth Sports & Arts Foundation Group Home in Los Angeles, CA. In 2013, Juanita moved back to her native Texas with Glenn to retire. However, Glenn’s idea of retiring was to create a nonprofit, the VSPChannel. Juanita is proud of the work her husband is doing with the VSPChannel to help save veteran lives and is honored to be a member of its board. Gary Ray is committed to developing one of the most powerful Radio Networks in the Country. A Combat Veteran who proudly served in the US Army 67-69. His background includes more than 19 years in the Insurance industry along with successful management of two of the largest Insurance Companies in Florida. He was the Co-founder/Co-developer of the Worldwide Racing Network. Gary worked with NASCAR and The Turner Sports Interactive NASCAR Touring series. He also hosted radio talk shows for NASCAR Touring drivers and teams. In 2008 he joined a Military-focused Network as Public Relations Director providing radio interviews and web content while participating in many community events. In February 2011 he was promoted to President. In 2012 he left the organization to pursue his passion with helping our Veterans and military Families rebuild their lives. Charles Eggleston is known as national hero and a wounded soldiers advocate who completely knows what our disabled veterans have gone through. He was at Walter Reed Army Medical Center during the Medical Scandal that forced changes to the way our wounded veterans are now being treated in both the Department of Defense and Veterans Affairs Systems. Charles has had numerous surgeries and medical treatments for the last 11 years due to an IED blast that happened in Mosul, Iraq in 2005. He is a Purple Hearts recipient and is excited to be working with Vets and their families to help to make a better life for the veterans. He is currently a dedicated advocate for his fellow soldiers, utilizing his time, listening to the call of his heart, and fostering his strong desire to help his wounded comrades in any way possible with implementation of new policies and regulations for the disabled or wounded serviceman at the national level. MEMBERSHIPS: Veterans of Foreign Wars, where he serves in the capacity of Chairman for the WRAMC Chapter. National Suicide Prevention Awareness Officer for the Military Order of the Purple heart. and also Past State Commander for Maryland MOPH , Disabled American Veterans. American Legion. Professional Golf Association. Paralyzed Veterans of America and an af?liation with the U.S. Paralympics Organization. 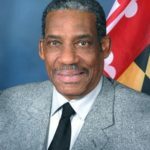 The appointment of Deputy Secretary Forbes to the Maryland Department of Veteran Affairs (MDVA) was announced May 7, 2007. Prior to his appointment, he was a Contract/Consultant Investigator conducting security background investigations for applicants seeking security clearnaces for positions of trust and responsibility in various agencies in the federal government. Mr. Forbes is a Past Department Commander of the Disabled American Veterans (DAV) for the State of Maryland and served as the Sixth Disrict National Executive Committee Alternate, representing the DAV Departments of Maryland, the District of Columbia, Virginia, West Virginia and the Commonwealth of Puerto Rico. Since his tenure with the MDVA, Mr. Forbes continues to be a dedicated advocate for veterans and their families. 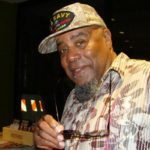 His involvement with the homeless veterans on the state’s Eastern Shore has resulted in the establishment of a veterans’ service center which bears his name Forbes Hall Veterans Education and Training Center, Salisbury, Maryland. Mr. Forbes served as a Public Member on several of the US Department of State Promotion Boards where he reviewed personnel files of Foreign Service employees and made recommendations for advancement and promotion. Mr. Forbes is a member of the Board of Directors of the International Critical Incident Stress Foundation, Inc (ICISF). 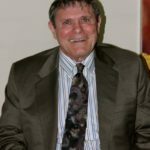 He serves as an advisor with respoect to stress management, post traumatic stress and traumatic brain injury as it relates to military veterans. He is also a memberof the Board of Directors for the American Heroes Network (AHN) internet radio broadcast powered by the Voice of America. 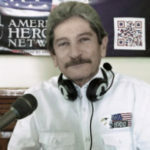 Mr. Forbes co-host on the weekly broadcast addressing issues in the veteran’s community. 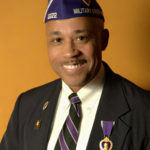 Most recenty, he was honored by the African American Patiots Consortium, Inc., and was awarded the Paul L. Thomposon Humanitarian Medal for his unyielding commitment to veterans. Mr. Forbes is an ROTC graduate of Morgan State University, Baltimore, Maryland and a member of the ROTC Alumni Chapter. As a retired US Army Lieutenant Colonel with combat service in Vietnam, he received numerous awards during his military service including the Combat Infantryman’s Badge. Mr. Forbes retired from the US Department of Labor where he managed a national investigative program. Mr. Forbes cofounded The Veterans’ Advocacy Group, a service disabled veteran owned company which serves in a consulting role to agencies and organizations providing outreach and advocacy services in the veteran community. Billy Ray Stubblefield, Presiding Judge of the Third Administrative Judicial Region, is the product of four pioneer Williamson County families. He is a proud sixth-generation Texan. His paternal forebears arrived in Virginia in the mid seventeenth century and went on to fight in the French and Indian War, American Revolutionary War, and fought in the Virginia militia with General Washington at Yorktown. The judge’s great-great grandfather William Stubblefield narrowly escaped death in the War of 1812 at the Fort Mims massacre. His great-grandfather Stephen Stubblefield fought in the Mississippi Rifle Volunteers under Zachary Taylor in the U.S.-Mexican War of 1846-48. He arrived in Williamson County in the late 1860s as a refugee. On his mother’s side of the family, three grandfathers (William Bradford, Miles Standish and Edward Doty) arrived in Massachusetts in the early seventeenth century at Plymouth, rather than Jamestown, Virginia. The family later pioneered the settlement of Vermont and ultimately migrated to Troy, Missouri. There they met Moses and Stephen Austin and came to Texas with the Austin Colony in the 1820s. They fought in the War for Independence from Mexico and the Civil War. Judge Stubblefield obtained his public education from Georgetown I.S.D. and received his undergraduate degree from Southwestern University, where he majored in history. He received the Southwestern Scholar designation in 1971, and was awarded a teaching certificate. After attempting to teach history in high school in San Antonio for two years, he went to the University of Texas Law School where he received a Juris Doctorate. While there he was a member of Delta Theta Phi law fraternity. He was licensed to practice law in January of 1976, just in time to run for County Attorney. He was elected to four consecutive four-year terms as County Attorney from 1977 to 1992 (to date serving longer than any County Attorney in Williamson County’s history). In November of 1992, he was elected to the bench and became judge of the 26th District Court on January 1, 1993. He was elected without opposition five more times. He retired from the elected bench in October of 2014. As District Judge, he heard civil cases without limit to the amount of dispute, felony adult cases, and heard family law matters and juvenile cases of all classes. In 2000, Judge Stubblefield was elected by his colleagues to serve as Local Administrative Judge and resigned from that position in February 2010 so that he could assume the duties of Presiding Judge of the Third Administrative Judicial Region, a position to which he was appointed by then-Governor Rick Perry. He was re-appointed by Governor Perry in 2014, and was so-honored by Governor Abbott in 2018. The Region covers 27 counties with an area the size of West Virginia and approximately 3.5 million residents. It is the Heart of Texas. Judge Stubblefield is an enthusiastic member of the Georgetown Rotary Club (Past President), a founding member and former Board member of the Williamson County Law Enforcement Association, founding and former member of the Board of Directors of the Williamson County Crisis Center (now Hope Alliance). He believes that domestic violence is anathema to healthy, happy children. He served on the founding Board of Directors of the Georgetown Project, a child advocacy organization, and served as Chair for one year. He previously served on the Board of Directors of the Palace Theater in Georgetown. He currently serves on the Board of the Veterans’ Suicide Prevention Channel and the Central Texas Philharmonic. The judge co-chaired the Williamson County Sesquicentennial Committee from 1997 to 1999 with Irene Varan. He was a founder of the Civil Section of the Texas District and County Attorneys’ Association. He is a member of the Williamson County Bar Association and the Judicial Section of the State Bar of Texas. He is admitted to practice in the United States District Court for the Western District of Texas, the United States Fifth Circuit Court of Appeals and the United States Supreme Court. The judge was inducted as a Fellow of the College of the State Bar in January of 1996. Judge Stubblefield is married to Neta, his beloved and long-suffering wife since August 20, 1977. They pursue interests in old cars, sailing, horseback expeditions, travel and history. Dr. Elicia Baker-Rogers is a native of Detroit, MI. She has over 34 years of professional nursing experience. She received her Doctor of Nursing Practice – Integrative Health and Healing (DNP-IHH), from the University of Minnesota, Twin Cities, MN in May 2017. She completed her MS (Occupational Health Nursing) and BSN degrees at the University of Michigan, Ann Arbor, MI. She is a 20-year Veteran of the United States Navy, Nurse Corps. Her distinguished leadership positions in the military encompass: Director of Public Health Services; Department Head of Occupational Health; Department Head of Wellness; Department Head of Case Management; and Department Head of Performance Improvement. Her six tours-of-duty include: two tours overseas in Guam and Rota, Spain; a humanitarian mission to Africa (Ghana and Senegal) as the sole Community Health Nurse; and four state-side tours in San Diego, CA; Charleston, SC; Camp Pendleton, CA; and Cherry Point, NC. Dr. Baker-Roger’s personal military awards include the Meritorious Service Medal, Navy and Marine Corps Commendation Medal (three awards), Navy Achievement Medal (two awards), as well as various unit awards, campaign and service decorations. Additionally, Dr. Baker-Rogers is Board Certified in Therapeutic Massage and Bodywork (BCTMB) and has been a licensed massage therapist for 15 years. Dr. Baker-Rogers presented her DNP Scholarly Project: “Reducing Nurses’ Occupational Stress using Aromatherapy as an Integrative Nursing Intervention: A Journey in Process Improvement”, at the Second International Integrative Nursing Symposium, Tucson, AZ in April 2017, and as a Poster Presentation at the American Association for Occupational Health Nurses Conference in Reno, NV in April 2018. She holds professional memberships in American Association for Occupational Health Nurses (AAOHN), American Holistic Nurses Association (AHNA), Case Management Society of America (CMSA), Sigma Theta Tau-International Honor Society of Nursing, and the American Massage Therapy Association (AMTA). Dr. Baker-Rogers provided integrative nursing modalities to fellow Veterans during her doctoral clinicals at the VAMC in Minneapolis, MN. She is passionate about continuing to work with fellow Veterans in TX. She recently located to Austin, TX to pursue her vocational interests in establishing integrative health and wellness services for health care and corporate milieus. Elisabeth Joy (Collura) is a US Army veteran, entrepreneur, and performer with combat tours in Afghanistan and Iraq with the 101st Airborne Division (Air Assault). She has 11 years of military service, and considers life to be an ongoing opportunity to grow and learn. Elisabeth’s passion to serve continues well beyond her years in uniform. She holds a Master’s in Education from the University of Texas in Kinesiology and is a Licensed Massage Therapist. After receiving her graduate degree, she founded LCR Wellness, LLC, a holistic wellness company providing alternative therapy to include Massage Therapy, CranioSacral Therapy, Reiki, and Clinical Aromatherapy. She is a provider for the Corporal Chad Eric Oligschlager Foundation for PTSD. In 2015, she decided to expand her skillset yet again and began acting and dance training. She found artistic expression and conscious movement to music to be highly beneficial to the mind-body-spirit triad. She is currently a performance team member with Agni the Dance Company, a multi-cultural Bollywood dance troupe and majoring in Dance at Austin Community College. 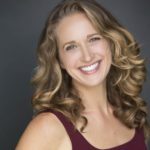 She is the Dance Director for the Inaugural Austin Veteran Arts Festival scheduled for Fall 2019. Her next endeavor is to create a dance and movement therapy program for full-body awareness and integration for veterans and PTSD survivors. In 2000, she began her active duty service as a second lieutenant and Distinguished Honor Graduate of the ROTC program at Ohio University. She then served as an Army Aviator flying Chinooks with the 101st Airborne Division (Air Assault) from 2001-2004. While in the 101st Airborne, she deployed to Afghanistan and Iraq in multiple leadership and liaison positions flying combat missions in both theaters. In 2002, Elisabeth was assigned to the Combined Joint Special Operations Task Force in Bagram, Afghanistan where she flew missions supporting Special Forces soldiers from the United States, Spain, Italy, Australia, New Zealand, Great Britain, and Poland. In 2003, she deployed again for the initial invasion into Iraq through Kuwait. For the return voyage from OIF, she was selected as the officer in charge of escorting 1/8th of the 101st Airborne Division equipment on board the USNS Benavidez from Doha, Kuwait to Jacksonville, Florida. Upon return to the United States, she continued her military education in the Aviation Officer Advanced Course and was stationed in Ft. Hood, Texas. She was assigned to 4th Infantry Division and then the 21st Cavalry Brigade as a Logistics Officer where she coordinated logistical requirements for units transitioning to the Longbow Apache Helicopter. In 2007, Elisabeth completed her active duty service obligation and joined the Texas Army National Guard. Increasing her influential roles, she was selected as an Instructor with the Officer Candidate School. She was also selected to serve as a Federal Technician in the role of Deputy Director of Strategic Initiatives for the Texas Military Department where she served as a community relations representative with federal, state, local, and nonprofit organizations offering services to veterans and their families. Returning to Aviation, she was assigned as the State Aviation Training Officer, responsible to assessing and selecting future pilots for the Texas Army National Guard. The culmination of her military career was as the Commander of the Air Ambulance Company (Alamo Dustoff) flying Black Hawks for medical evacuation. Elisabeth lives in Austin with her son, Sterling. They enjoy dancing, playing in the sun, make believe, and living each day to the fullest. Doris Williams was born in Bastrop, Texas and grew up Lubbock, Texas. She attended the University of Texas at Austin for her undergraduate degree and received a Master of Business Administration from Webster University in St. Louis, Missouri. Ms. Williams began her public service career when she was commissioned as First Lieutenant in the United States Army where she spent the next 30 years and rose through the ranks to retire as a Lieutenant Colonel. While in the U.S. Army, Lieutenant Colonel Williams received numerous awards, most notable, the Army Meritorious Service Medal, MSM. She graduated from the Army’s prestigious Command and General Staff College in Pocatello, Idaho and the Department of Defense Equal Opportunity Management Institute in Coco Beach, Florida. Ms. Williams has held various leadership positions that include, Director, Colorado Client Assistance Program (CAP) and Budget Officer, Colorado Department of Revenue. She served as Chief of Information Support Services, District of Columbia, Department of Health and Human Services, in Washington D.C.
Ms. Williams relocated to Austin in 2002 and formed Inedco, LLC, a staffing agency, where over the span of 10 years Inedco employed 40 individuals on jobs in Austin. Ms. Williams still owns Inedco although the company is not currently active. She chuckles when reflecting on Inedco as many African American employees referred to Inedco as the “Black” staffing agency because at that time Inedco was the only African American owned staffing agency in Austin. Ms. Williams’ public service career is exemplified through her various volunteering and participation in community organizations. She has been active in Austin Interfaith, North Austin Civic Association (NACA) and the Austin Neighborhoods Council where she served as Secretary. She is active in the Travis County Democratic Party as a Precinct Chair, member of Black Austin Democrats (BAD) and Texas Coalition of Blacks Democrats. In 2012 she represented her Senate District 14 as a National Delegate to the Democratic National Convention in Charlotte, N.C. She said she is most proud of her membership in Precursor, Inc., those African American students who first integrated the University of Texas at Austin after the 1964 Civil Rights Act ended segregation in the United States. Ms. Williams received the Connie Yerwood Conner, People of Prominence POP Award, One Million Conscious Black Voters & Contributor Inspiration Award, and the Army’s Meritorious Service Metal. Her affiliations include Precursors, Inc., Lifetime Member of Dunbar Alumni International, Inc., and Lifetime Member of UTEXEs. Ms. Williams is divorced. She has two grown children, a son and daughter. She is a member of Congregational Church of Austin, United Church of Christ, (CCOA, UCC) and serves on several boards. 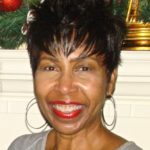 Ms Williams is an active member of the community, volunteers in the Austin, Pflugerville and Bastrop communities and has received numerous awards and achievements over a lifetime of public service. 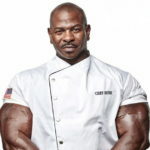 Chef Andre Rush is known worldwide for his advocacy for military service and suicide prevention in which he does 2,222 push ups a day as awareness to promote a healthy lifestyle around the world. He was one of the key supporters with the USO in their campaign for flex4 forces and was featured on Good Morning America. He actively does public speaking in an array of forums from youth to corporate events. Chef Andre Rush is renown as one of the top chefs in the United States military, and retired as Master Sergeant. He has represented the Army resulting in over 100 new soldiers joining the forces. He was also a member of the United States Culinary Arts Team where he competed and won 150 medals and trophies. He is regarded as the Army’s strongest chef by lifting over 700 lbs as well as being a master ice carver. Chef Andre Rush was the Senior Enlisted Aide to the Superintendent of the United States Military Academy. In this capacity he served as Senior Aide and advisor for DVQ’s, dignitaries and high profile VIPs. He joined the military as a reservist where he would later switch over to active Army in July of 1993. He has spent time at Fort Stewart, 503 Infantry at Camp Casey Korea, Fort Campbell Kentucky and Fort Bragg North Carolina. In September 1996 he served as the Joint and Vice Chief of Staff for eight general officers and four Chief of Staff of the Army over the next three years. Moving to West Point soon after, Chef Rush had the opportunity to work for four Superintendents as well as ASI Finance CMD GO Washington DC. He has also worked in the White House and the Presidential Guest House. Chef Rush has deployed multiple times and has held a variety of leadership positions to include Senior Advisor, Enlisted Aides, Operational Manager, and Foodservice Manager. He has served as a hand-to-hand combat trainer to over 1,000 cadets, airmen, soldiers, marines and civilians. He trained over 10,000 troops in the art of culinary and was called upon Army wide to assist in teaching other senior and junior aides. He has volunteered his entire career and rendered his services for the Core of cadets for the last 10 years. Chef Andre Rush holds a Bachelors degree in Business Management from TUI; Associates degree from Culinary Stafford University; and Associates degree in Hotel Restaurant Management from Central Texas. He is also certified in Household/ Estate Management from Starkey International; Sommelier Course from Denver Colorado; CCNA; ACF; and Certified Ice Carver.